Fruit shells, containers and tubsWe offer a wide variety of tubs and recipients made from different materials for serving ice cream, both in artisan ice cream shops and for industrial purposes. Original containers for the gourmet ice cream sector. IngredientsInclusions and decorations to add texture, color, contrasting flavors and the surprise factor to your product, providing added value to all your creations. 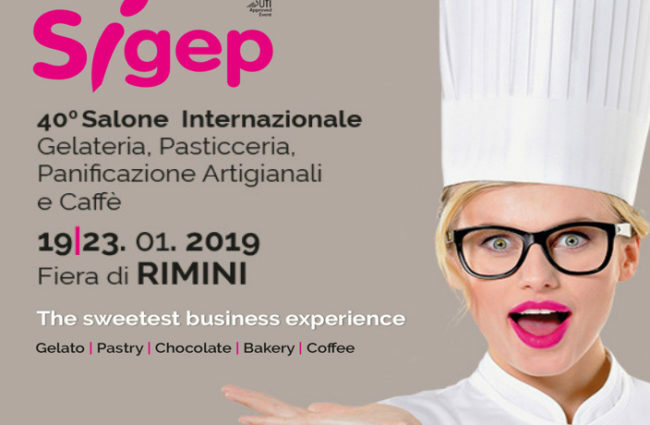 Sigep is the greatest European showcase of handmade sweet. Every year in Italy Ice-cream sellers, master patissiers and artisanal bakers have an appointment to start the campaign in the most exquisite and greedy way. From 1978 Rimini is holding the best and biggest offer worldwide of ingredients, raw materials and machinery. It is a leader in business Meeting point, trends, originality, training and championships. Walking along its animated corridors we can enjoy a magnificent and traditional Italian spresso, as well as a creative and incredibly creamy ice cream of the most innovative aspects and flavours. Ibk tropic is attending this trade show for 22 years. Our stand has become a meeting place for ice cream lovers, customers and friends both from Italy and from the rest of the world. There our latest developments and the classic fruit shells are joined. The exhibition will take place in Rimini, Italy, from January 19th to 23rd, 2019. You can find us at Hall A5 and Stand 068.